Whether at home or in your Mini 4WD club, the 3-lane Japan Cup Junior Circuit is a compact course that allows plenty of racing fun! 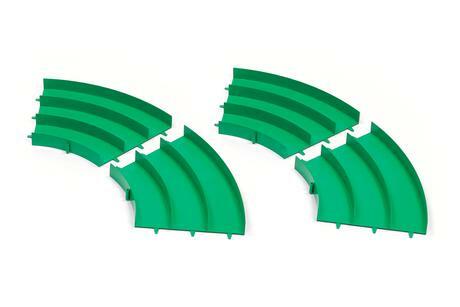 This Limited-Edition curve section comes in GREEN to make your track stand out as you expand it to any size you want! •	Slot-together assembly makes for easy modification of your track! •	Compatible with the 3-lane Japan Cup Junior Circuit.